We, at MRIS-21C Faridabad, believe that it is our privilege to be a part of children’s lives and to be able to celebrate Children’s Day with them. The look of delight on the children’s faces was priceless. 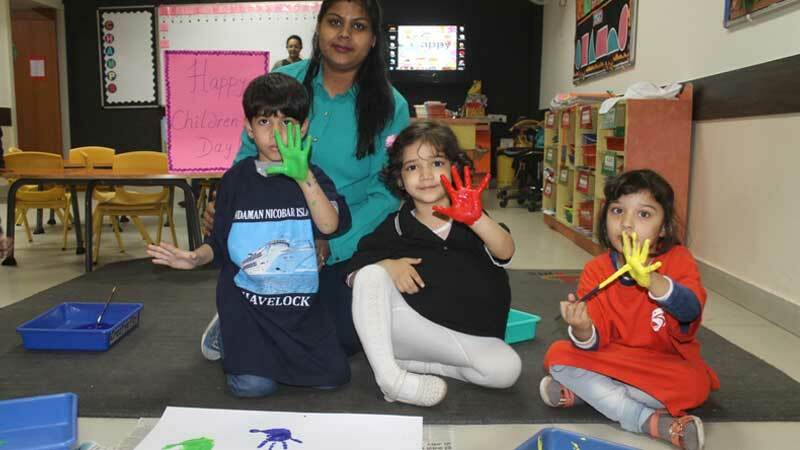 In order to sensitize children with their importance, the Circle Time discussion was organized which comprised of the children introspecting about their strengths and weaknesses as well as being grateful for all that they have. The teachers also encouraged them to think about what they’d like to change around them. Teachers presented beautiful fairy tale “Hansel and Grater” along with it teachers were also dressed as their favorites cartoon characters like, Mickey and Mini, Capt. America, Cinderella, Batman, Superman and Santa. The icing on the cake was dance performance given by Bloomz students. The students of Early Years had created memoir for their classes by printing their hand impressions and class pictures. The children enjoyed playing games and the day ended with a jam session. It was a day packed with fun and learning…a day to remember!